The elite sport of rock climbing continues to evolve at lightning speed as techniques and technology improve, opening up hundreds of new routes each year. 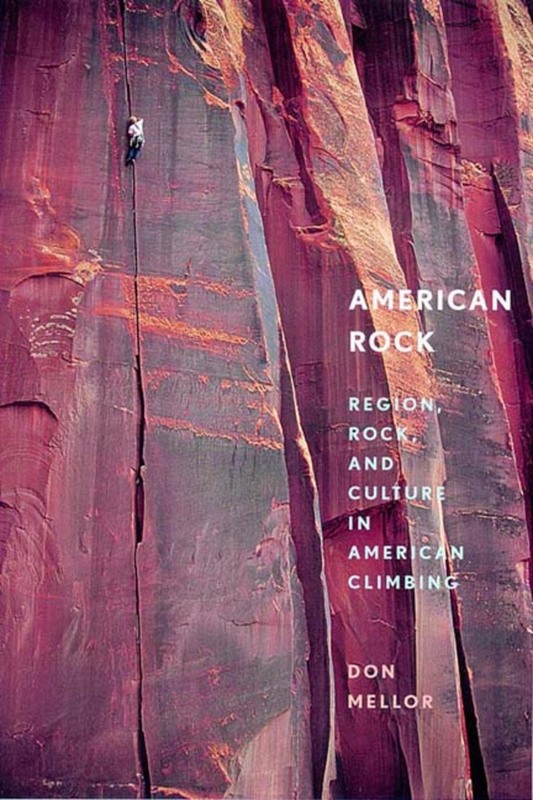 In this thoughtful overview, Don Mellor reveals how the sport has developed in a dozen climbing hotspots across the country in direct response to the characteristics of local rock and the eccentricities of regional culture: Shawangunk conglomerate provides hundreds of climbs marked by positive handholds and a busy climbing scene built upon rich and raucous traditions The fragile red sandstone towers of the Southwest desert remind climbers of a changing earth and challenge them to tread gently Climbers spend days on slings and port-a-ledges while ascending stark white walls of Sierra granite, immersing themselves in a lonely encounter with the mountain wilderness And in the Rockies, Tetons, and Cascades, technical rock climbing merges with cold weather alpinism in perhaps the ultimate expression of mountaineering Mellor also explores the meanings behind ongoing debates in the climbing community over techniques and equipment. Climbers of all levels will appreciate his knowledgeable history of the sport, as well as his insider's tips on where to go, what to take, and how to climb the local rock. 35 black and white photographs, 1 map, index. A history and cultural guide to a red-hot sport Mellor's traditional viewpoint is sure to spark discussion in the climbing community Will appeal to both serious rock climbers and armchair athletes.